When it comes to Obamacare, Republicans can't even agree on one of the easier decisions they have to make: whether to temporarily fund the law's cost-sharing subsidies. The House GOP and the Trump administration said they need another three months to come to a resolution, according to a motion filed in the U.S. Court of Appeals on Tuesday. The payments reduce the deductibles and co-pays for more than half of enrollees on the Obamacare exchanges. These subsidies were at the center of a court battle between House Republicans and the Obama administration. Seeking to bring down Obamacare, the House filed suit against then-Health Secretary Sylvia Burwell in 2014, arguing the payments to insurers were illegal because Congress never appropriated the money. A district court judge last year ruled in favor of the House, finding the subsidies were illegal and must stop. However, she stayed her decision, and the Obama administration filed an appeal. The subsidies continue to be paid during the appeal, according to a senior GOP source. 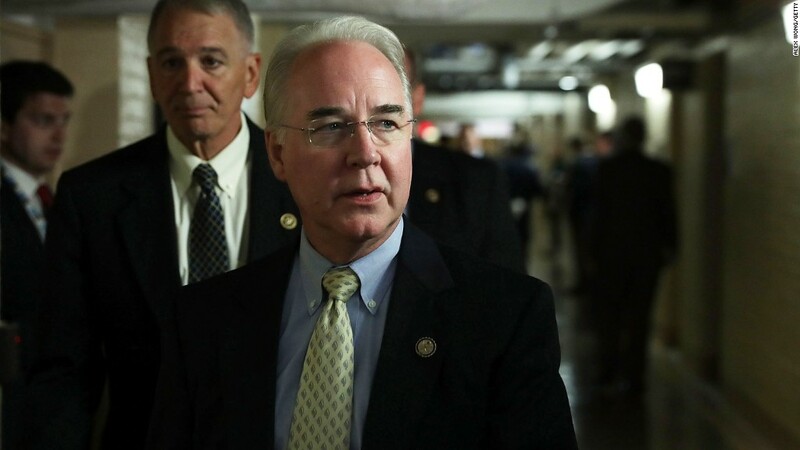 Now that the White House has changed hands, House GOP lawmakers are in the uncomfortable situation of suing Health Secretary Tom Price, who took over after Burwell and is one of their own. It's widely expected that Republicans will agree to pay the subsidies, which are expected to cost $9 billion this year and $11 billion next year. Killing them would wreak havoc in the individual market. Many insurers depend on these payments -- without them, they might abandon Obamacare, which could lead to fewer choices and higher premiums for consumers. Such a move would be at odds with the "orderly transition" that Republicans have promised. Already, Humana has said it will not participate in the individual market in 2018. Other insurers have said they are reviewing their plans for next year. Insurers have been pressing lawmakers to resolve the issue by March since they have to file their 2018 plans and premiums to state regulators this spring. However, carriers will likely have a little more breathing room now. The Centers for Medicare and Medicaid Services last week filed a proposed rule that extends that deadline until June 21. Still, insurers want an answer from Congress sooner than later. "Every American deserves access to affordable coverage and high-quality care -- and cost-sharing reductions help millions of Americans get the care and coverage they need," America's Health Insurance Plans, a main industry group, said in a statement. "They are a critical part of ensuring short-term stability of the market."